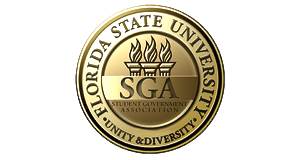 This is the official seal of FSU SGA and is what is most strongly associated with the SGA brand. In order to be effective, all logo treatments must be consistent and accurate (these seals cannot be altered or replicated) and must include the phrase "The views expressed herein do not necessarily reflect those of the Student Government Association." All materials printed in Student Publications must have The SGA seal and must be at least 1/30th the size of the publication. The university uses two official fonts – PT Serif and Roboto. While use of these typefaces when developing creative for campjpggns (flyers, etc.) is not strictly enforced, it’s preferred that official campjpggn communication from all departments, colleges, etc. make use of these fonts to support a unified brand appearance. The brand approved fonts were selected because of their adaptability across digital formats and in print. The quick brown fox jumps over the lazy dog. One morning, when Gregor Samsa woke from troubled dreams, he found himself transformed in his bed into a horrible vermin. He lay on his armour-like back, and if he lifted his head a little he could see his brown belly, slightly domed and divided by arches into stiff sections. The bedding was hardly able to cover it and seemed ready to slide off any moment. His many legs, pitifully thin compared with the size of the rest of him, waved about helplessly as he looked. While using the exact brand colors may not appear important at first glance, it’s an essential element of a marketing campjpggn or specific project. 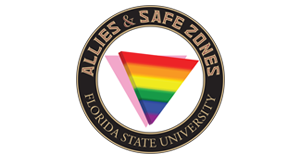 Using the recommended colors within the brand approved color palette amplifies the university-wide communications efforts and invokes consistent visual identity. See the official Florida State brand colors below for reference. These colors are adaptable to most uses across all forms of print and digital communications.